Canadian Wood Fibre Centre (CWFC) researchers, along with numerous government, industry, private sector and academic partners, are studying the effects of using organic waste in the production of woody biomass, as an alternative to traditional waste treatment. While wastewater and biosolids are already being used with short rotation intensive culture (SRIC) crops in Europe, the research will determine whether the approach will work as well to increase woody biomass production in Canada. 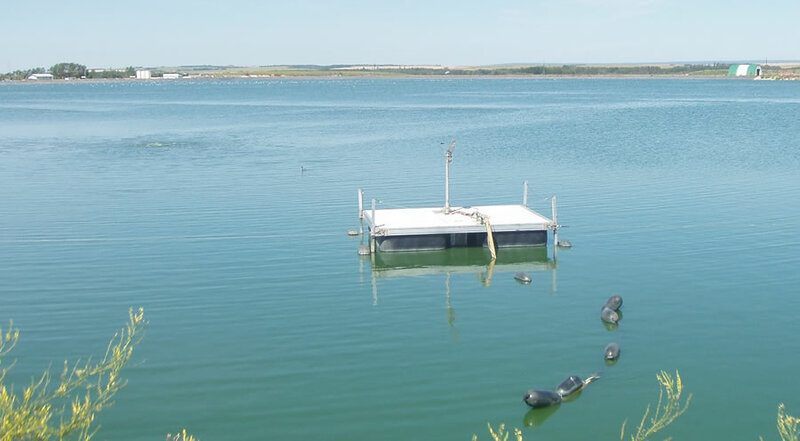 Interest in the concept has grown among Canadian municipalities as they look for creative and cost-effective ways to meet new, stricter standards for the discharge of municipal wastewater. Applying wastewater and biosolids to woody crops could provide rural municipalities not only with an economic and environmentally friendly option for the treatment of organic wastes, but also with a means of producing wood fibre. The wood fibre can be used both for bioenergy production and as a fibre supply for existing or new industries, thereby contributing to community diversification and stability. Municipal wastewater and biosolids are currently being applied to high-intensity willow and hybrid poplar plantations at six research sites in central and northern Alberta. Willow is ideally suited for both biomass production and treatment of waste water and biosolids because of its rapid growth, ease of propagation, ability to be coppiced, high water use and potential for genetic improvement. For SRIC crops, willow is planted in high densities (15,000 to 20,000 stems per hectare). Crops are harvested on a three-year rotation, with a full cycle including seven to eight rotations, or 21 to 24 years on the same root system. With irrigation, above ground biomass production can increase by 30–40%. For the hybrid poplar afforestation system, trees are planted at 900 to 2,000 stems per hectare, for use in traditional forest product manufacture. Without irrigation, crops are harvested on an expected rotation of 18 to 25 years. With irrigation, the crops may be harvested five to six years sooner. Four of the six research sites involve irrigation with municipal wastewater. Subsurface drip irrigation is used on three of the sites, with a surface irrigation technology commonly used in Europe on SRIC crops in place at the fourth site. Researchers will assess each of the irrigation methods, and determine the irrigation rates for the crops and the effect of irrigation on biomass production and the environment. Biosolids, the non-liquid portion of municipal sewage, are being applied to the two remaining sites. Biosolids are applied by direct injection into the soil or by surface application followed by tilling. Researchers are studying the utilization of waste and the effect on biomass production by varying the biosolids application rate from 200 to 400 kilograms of nitrogen per hectare. Provincial guidelines and regulations for application of wastewater and biosolids to agronomic crops have been set to address agricultural and environmental concerns. CWFC researchers hope to assist regulators in making informed decisions about this application to woody crops by monitoring environmental parameters, such as soil nutrient and salt concentrations, soil and ground water, foliar nutrients and soil respiration.